Every start of the year, many of us tend to make resolutions. We aim certain matters and strive to live with it- mostly, forcefully and odds are, we never keep up these resolutions by the end of the year. It happens to me as well. I made resolutions few years ago and failed to live it until the end, well, not even at the middle of the year. 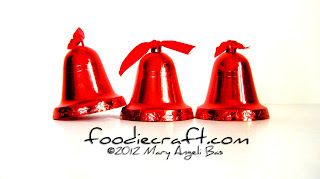 Above are three red bells. 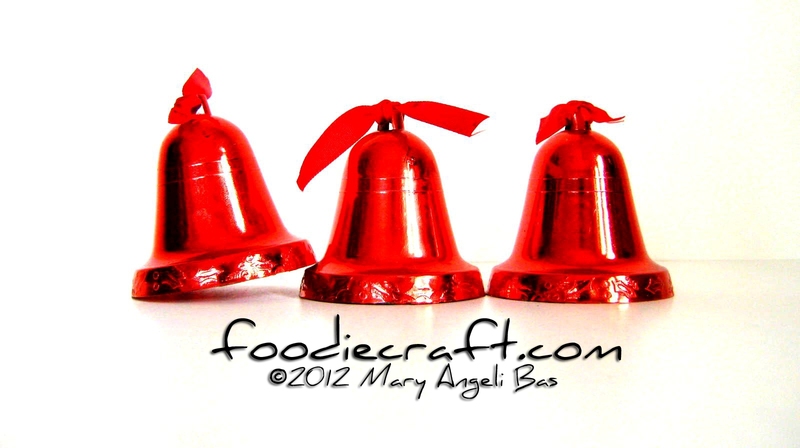 Each of them signifies my Foodie Craft resolutions for 2013. They are what I tried to ring a year ago but failed to do so. I will ring them up to the last minute of the year (as I hope). Personalize- If you happen to be an avid reader of this blog, you can tell that I do not add much of myself in every post. I rarely type folksy words (which are the ones that are really in my mind) since I wanted Foodie Craft to be a formal blog. Well, I realized that it's more fun to have every bit of myself in select articles so, now, I won't refrain from writing freely, I'm going to write the words without minding formality. Give Back - When food events get done with oodles of left-overs, I always ask people if I could bring those foods home. I bring a lot, this, only a few people know. I bring it home but not mine, I bring it to somebody else's home. I always give excess food to people who sell rags and drinks at nearby streets. This, I'd like to continue doing. Be MORE Sporty - I am the only Team Captain I know who exercises and practices a sport only when the coach lifts a finger. Yes, that is absolutely not good and so I'm going to change that. Not only do I aim to get my team on stage with medals on their necks again but also burn more fats so I won't get discourage eating more to make more blog posts. No, I'm not crossing my fingers here. I'm just going to do the three goals. Kudos to me! How about you? What are your resolutions?